– Find out more about the all-new competitive game mode that will let you and your friends test yourselves against other crews in fun and fast-paced matches to amass the most loot. – The Hunter’s Call is a new trading company that gives you more ways to play and progress towards Pirate Legend. Find out more about what you can do, the company behind it and the rewards on offer. – This is Sea of Thieves like you’ve never seen it before. Tall Tales are a collection of story-rich quests that are played out in our shared world and can be fully experienced by yourself or with your crew. This first collection, ‘Shores of Gold’, invites you to embark on an epic adventure of love, honour and betrayal in search of the mythical Shores of Gold. 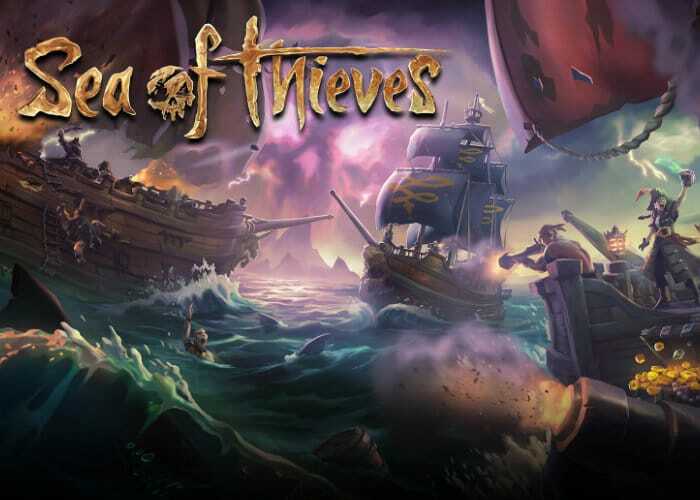 For more details what you can expect in the Sea of Thieves Anniversary Update jump over to the official Xbox Wire website.